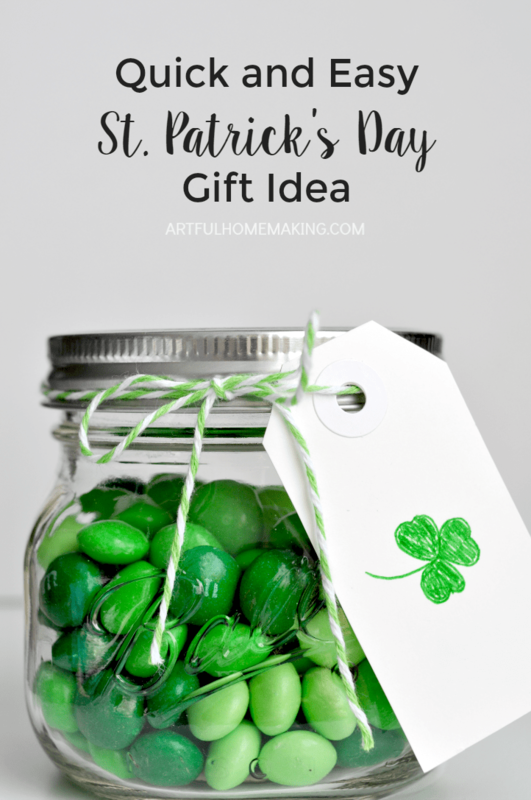 Need a simple St. Patrick’s Day gift idea for a friend, teacher, or neighbor? This little gift is so simple and yet adorable! 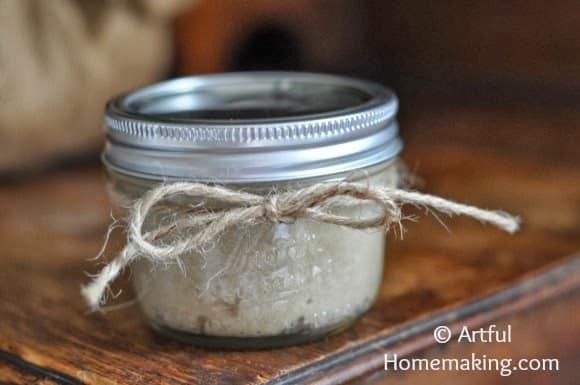 Whenever I’m in need of a quick, inexpensive-yet-cute gift idea, I often turn to Mason jars. They make everything cuter! 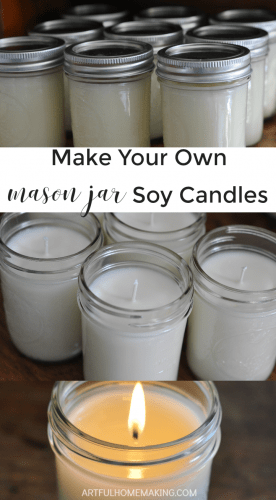 And no matter what you fill your Mason jar with, the recipient can always repurpose the jar later and use it for something else. I love that it’s clutter-free! You only need a few simple supplies to make these. Literally all you do to create this gift is put some candy in a clean jar and tie some baker’s twine around the lid! Add a label if you’re using one, and that’s it! These jars would also make cute party favors! 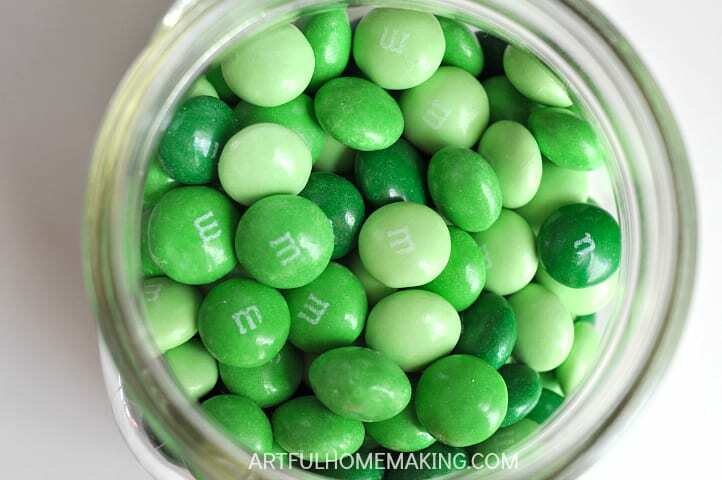 You could also use a Mason jar filled with M&M’s as a party game. Each guest tries to guess how many M&M’s are in the jar, and the person with the closest guess gets the jar of candy as a prize! 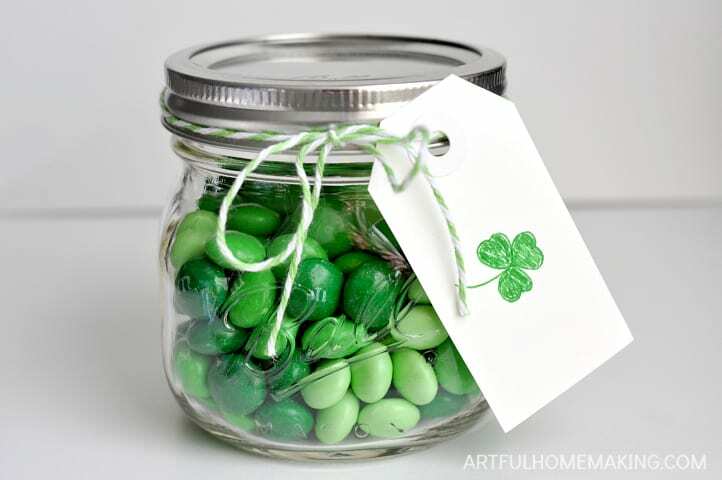 I just made jars similar to this using baby food jars for baby shower favors. I painted my lids (not my original idea)…. it will be a future post of mine sometime. Love the idea of using baby food jars and painting the lids! What a lovely idea, Joy! I love celebrating St Patrick’s Day with little gifts. Sharing on the Hearth and Soul Facebook page. Thank you so much for being a part of Hearth and Soul. Have a great weekend! Thanks for hosting, April! Hope you also have a great weekend! It’s a pleasure, Joy! Popping back to say I’ve featured this post at the party this week. Hope to ‘see’ you there! Have a lovely week! Thanks so much for the feature, April! These are so cute! I love the little jars. What a great and easy idea!